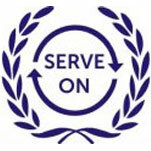 The mission statement of the E.F.R.U. is to provide a unit of organised and fully trained rescuers to help out the constituted authorities in case of national calamities such as earthquakes, major disasters, airplane crashes, floods and similar occurrences or as otherwise requested. Therefore E.F.R.U. 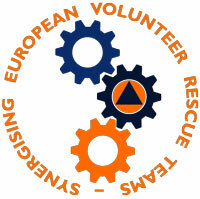 is entirely composed of highly dedicated unpaid volunteers, both men and women who come from all walks of life. There is one training program for both sexes and they all train together on a weekly basis. The training program includes Light & Heavy Rescue, High Angle Rescue, Cliff Rescue, Rescue Diving, Fire Fighting and First Aid. There is no regular paid support for the E.F.R.U. and it is not funded nor supported by any entity or organisation. 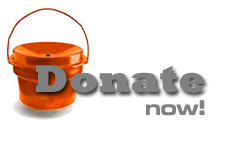 It is largely supported through the donations of its own volunteers, who, apart from giving up a large number of hours of their own personal free time, contribute significantly towards the purchase of their own equipment, including rescue vehicles, and fund their maintenance and running costs. In addition, large amounts of personal and private funds are disbursed for overhead costs in order to sustain training and operations for the volunteers. During the start of their training each volunteer has to master the basic rescue techniques such as basic rope work, stretcher handling, casualty handling and ladder work. 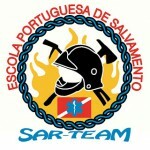 After this comes the advanced rescue techniques such as using ladders as derricks and bridges, using tripods for underground recovery and basic fire fighting. High Angle Rescue, which represents rescue from high-rise buildings – a must since Malta is experiencing a boom in these types of buildings. Cliff Rescue, which is undoubtedly one of the most dangerous and challenging rescue scenarios, were rescuers are exposed to real case scenarios on the famous Maltese cliffs using different types of recovery methods and equipment. Rescue Diving. Since Malta is an Island this type of rescue is very important and utilising a 21foot RIB has made the E.F.R.U. rescuers more efficient when it comes to rescue at sea as has been proven. Fire fighting is definitely not for the faint hearted and training is carried out using standard fire brigade procedures which include hose running in both dry and wet drills. Cold and hot drills are also standard for this type of level. Training using breathing apparatus, fire pumps and fire tenders are also provided to those rescuers who want to reach the peak in this discipline. First Aid is also an important part of the training provided to each volunteer since in the event that a casualty is found by E.F.R.U. rescuers and is not in an accessible place to be attended to by a medical doctor, than he has to be given first aid on site than extracted and handed over for specialised care. Another aspect which the E.F.R.U. has ventured into is in community services were they have engaged to educate youngsters and housewives in basic fire awareness and basic first aid. They meet in community centres and discuss basic fire awareness and demonstrate the use of fire extinguishers, fire blankets and also demonstrate basic first aid tips. These services are all performed free of charge and the only satisfaction the E.F.R.U. gets is that they are helping in maintaining a safer environment both at work and at home. The dedication of the E.F.R.U. 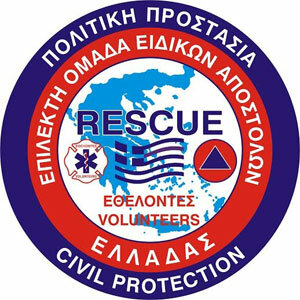 rescuers has been proven on numerous occasions some of which are when they saved the lives of 4 capsized canoeists who were caught in force 6 seas during last December and also when they entered the Birkirkara fireworks factory disaster site last June despite the numerous explosions still going on, extracted the only survivor and handed him over to the medical authorities. Any potential volunteers who wish to dedicate some of their free time to the training in rescue and first aid are welcome to contact the Manager Training and Recruitment on [email protected] who will gladly guide them accordingly. In a hectic work environment where “free time” has become virtually non-existent, ‘Emergency Fire & Rescue Unit’ provides young men and women with the opportunity of adventure, teamwork, and a sense of dedication to a cause.